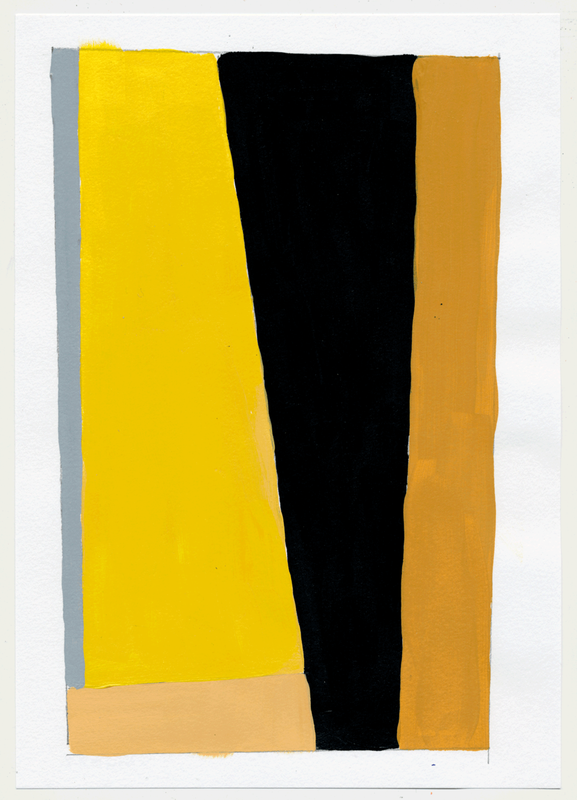 i never get sick of repeating simple shapes over bright colors and watching what my unstable hand will create. usually a swerving optic trip. ore color palettes. it's like i'm in some designer's head. i don't know what she wants to make, but these are the colors she should use. more color palettes. it's like i'm in some designer's head. i don't know what she wants to make, but these are the colors she should use. 12 little squares to help figure out the intricacies of pink, yellow & blue. there's NEVER an end to figuring it out, cuz you don't. PLAY! BTW - how great would this be as a rug in a kid's room?! this started with some spanish tile inspiration on the first layer, then moved on to my high school days, Haring inspired doodles. this is one of several paintings that was inspired by the Ettore Sottsass show at the Met Breuer in 2017. fewer layers but with bolder patterns & colors. playing! it's like you went deep in a cave and found some sacred tribal system of something. this grrrl went thru so many changes. i was trying too hard & needed to simplify to wrangle her back in. i think she'd make a fantastic dress! does it look like she's a little off? well grrrlfriend is! the top is finished off w/black dots on top of pink ones, then i reversed them on the bottom. i call this set of 4 color sketches my baby diamond grrrls. they were actually made after the original diamond grrrls - couldn't get them outta my head. every once in a while i like to collage. especially when someone gives me wall paper samples based on William Morris' designs! again with color studies! 3 sets of 3. using a primary color & its' complement to create subtle variations & muted colors. more color studies. this time with the primary colors, sorta. i went with pink, ochre & cyan...and some red wine. #hashtag. this 1 is a bit of a wreck, but i love her. there was a hit of acid in me when this happened. i'd like to try this again soon. these 2 ladies were made for the love of glorious, luscious metallic paint. schmeared on paper like scallion cream cheese on a pumpernickel bagel. this random queen sprouted out of my deep love of all things Bauhaus. she would also make a fantastic rug! another set of quick sketches to help break up the painting process & play with color. these could make fantastic rugs! these are the pattern based ladies i mentioned. this grrrl went a little off the rails & she wasn't too interested in sticking to 1 pattern. these are the pattern based ladies i mentioned. these do a number on your eyes. these little ones are fun quick sketches i create to massage my brain & give it a break from painting more complex pattern based paintings.